LeAnn Rimes was spotted wearing Junk Food yesterday at the airport in Los Angeles! 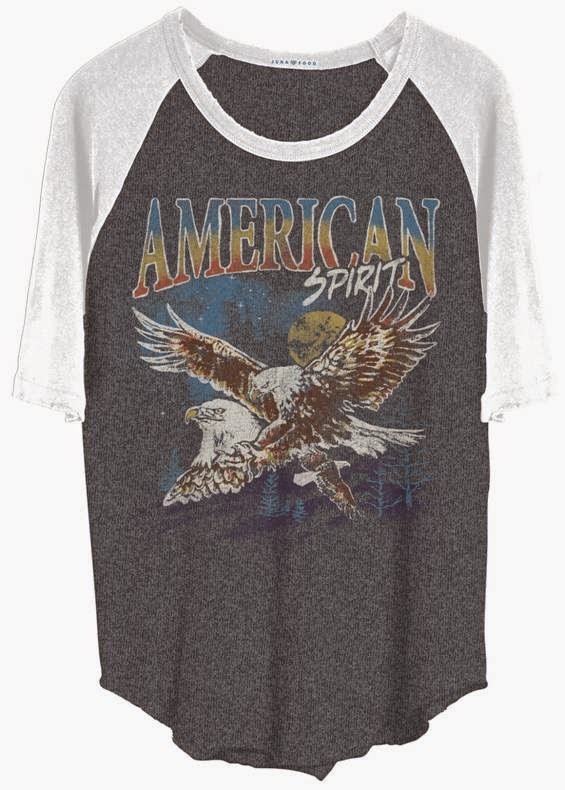 The country singer traveled in style wearing her American Spirit tee as she made her way to her flight ($32; www.junkfoodclothing.com). Alessandra Ambrosio was photographed wearing Junk Food yesterday in Los Angeles! The supermodel made her way to pilates in her colorful long sleeve Grateful Dead tee. If you would like to see additional uber trendy celebrities, you may want to visit the celebrities fashion blog pages here on Apparel Search.